Who likes fondue? I do! I do! Even the smell of Sterno makes my mouth water because it reminds me of colorful pots of hot oil, broth, cheese melted with beer, molten chocolate, and platters of breads, meats, veggies, cake, fruit…all the things I love to see a table loaded with for a cozy, candlelight fondue dinner. This quick and easy fonduta is reminiscent of a cheese fondue, but conveniently presented in the form of a casserole melted in the oven. No lighter required! 1/2 tsp. 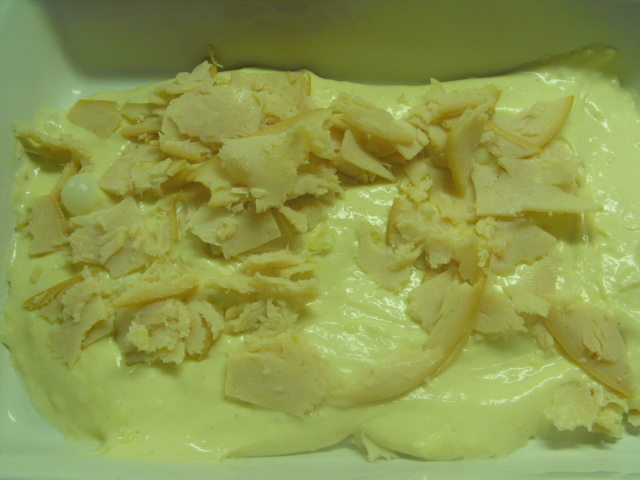 salt if used as a base for another sauce, salt to taste if using the Bechamel alone. Heat butter in a medium saucepan over medium heat. 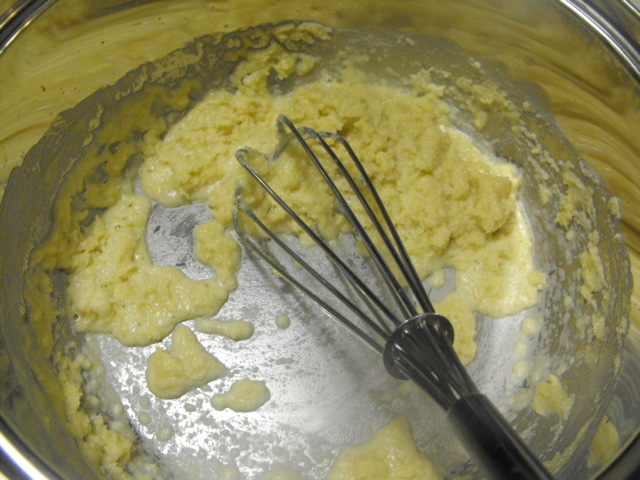 When melted and bubbly, whisk in flour to make a roux and continue stirring and cooking for one minute. 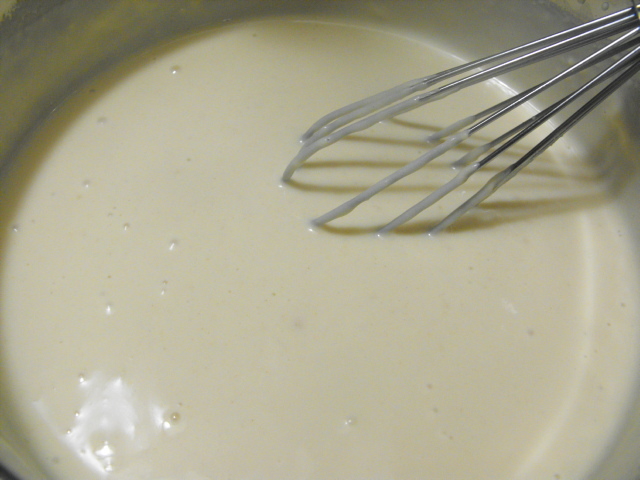 Slowly add in cream, whisking constantly to prevent the formation of lumps and whisk until smooth. 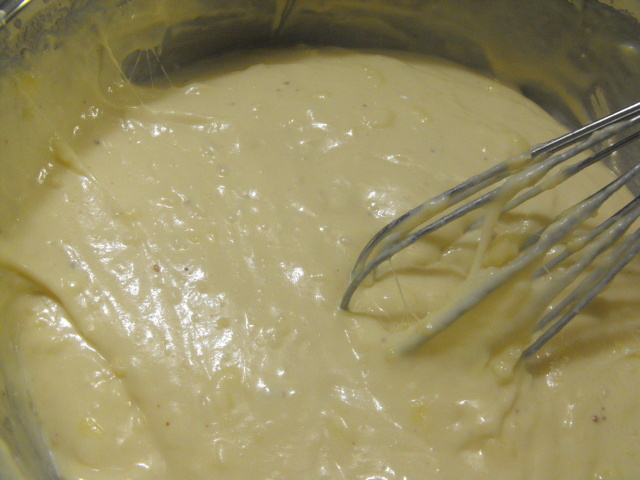 Reduce heat and cook 4 to 5 minutes longer, stirring constantly until a thick, creamy sauce is developed. Add nutmeg, salt and pepper. Stir in 1 cup fontina cheese. 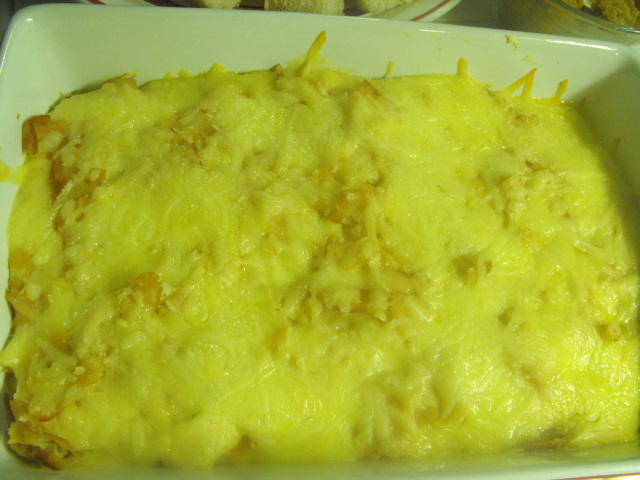 Pour half of the Bechamel cheese sauce into bottom of a casserole dish. Sprinkle half of the turkey over sauce. 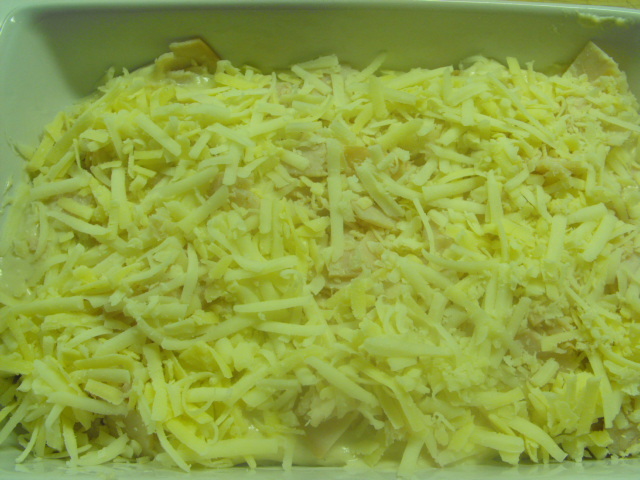 Add remaining Bechamel over turkey and sprinkle with remaining turkey. Sprinkle on remaining fontina cheese. Broil until cheese is melted and fonduta is bubbly. Keep warm until ready to serve. 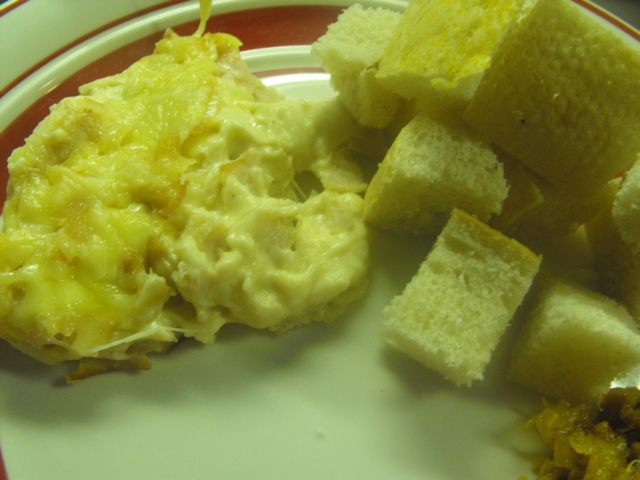 Serve with bread cubes for dipping.